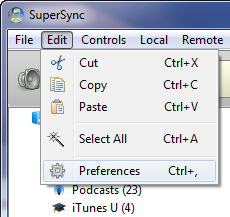 SuperSync's user preferences can be configured from the Preferences window. 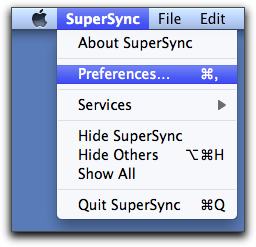 This window can be accessed by selecting Preferences from SuperSync's FILE menu (Mac) or EDIT menu (Windows) or by clicking the Prefs icon in SuperSync's toolbar. 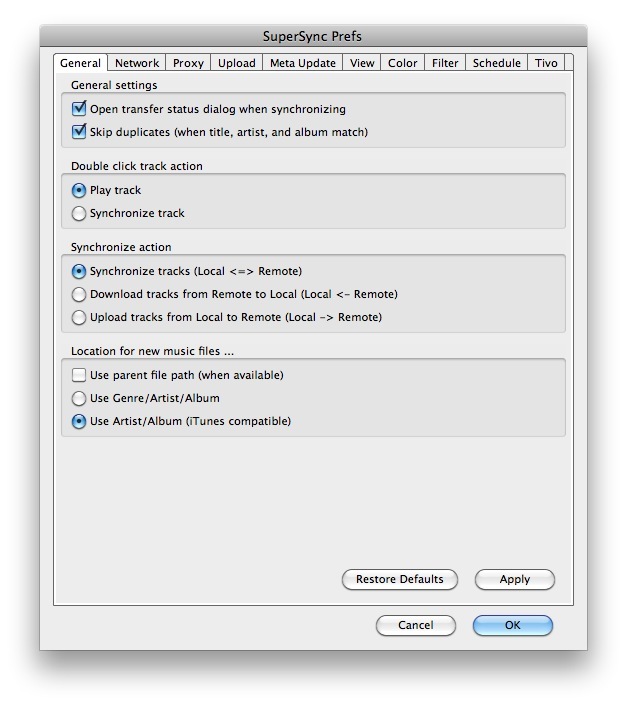 SuperSync's Preferences allow you to enable and customize various SuperSync features. In many cases, the defaults for these settings will meet your needs. When you are finished reading this section, proceed to the next section in our manual, Configuring the Local Library.